Westminster International Scholarships are fully funded awards aimed at students from developing countries who wish to study a full-time Masters degree at the University. Any field of study under a Master’s Programme at University of Westminster. You must be an international student from a developing country and hold an offer for a full-time Masters degree at University of Westminster. The main criteria are: academic excellence, development potential, and financial need. Particular preference will be given to you if you can demonstrate how the knowledge you acquire from your studies will aid the development of your own country. 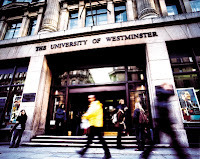 Please do not apply if you have not been admitted to a programme offered at the University of Westminster. You must have been offered a place (conditional or unconditional) on a course at the University before you can apply for this scholarship. The deadline for applications is 31 May 2013 for September 2013 intake and 1 November 2013 for January 2014 intake.